Economically priced Decora Style or Smooth face available in Ivory or White. All wall plates are a perfect fit with our Category 5E and Category 6 keystone jacks. RJ45, F connector (RG6 ) and RJ11connector wall plates are also available in several styles. 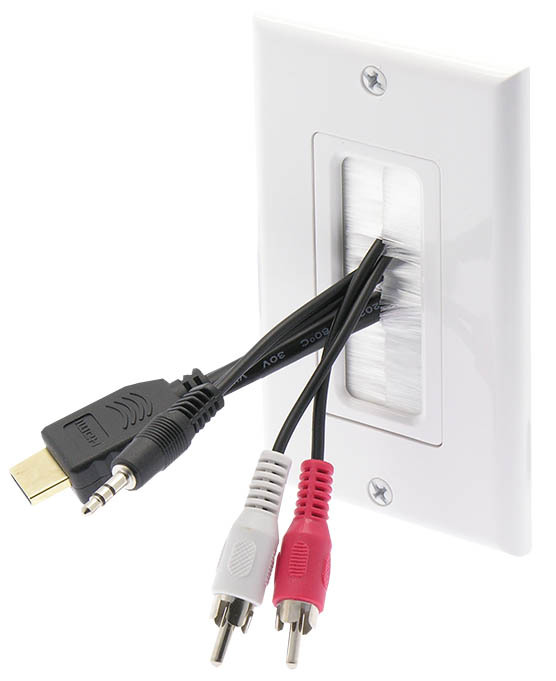 Our HDMI Decora style wall plates are available in many configurations to meet your needs.